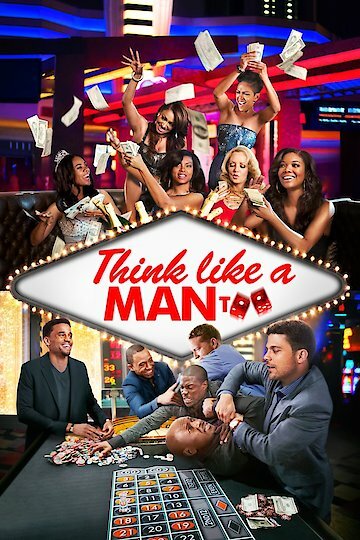 Think Like a Man Too was a sequel to the original Think Like a Man, which started from the book Think Like A Man Act, Like Act Like A Woman written by actor/comedian Steve Harvey. This comedy stars some of the biggest actors in Hollywood such as Meagan Good, Regina Hall, Taraji P. Henson, Terrance Jenkins, Jenifer Lewis, and Romany Malco. Gabrielle Union, Kevin Hart, Gary Owen, La La Anthony, George Wallace , Wendy Williams, And even Floyd Mayweather Jr. also starred in this film. In this film the couples are back together in Las Vegas for a wedding. The plan was for everyone to show up and have a good time but things kind of go into left field when a chain of unexpected events lands them in a compromising situation. The misadventures the couples come across almost force them to cancel the wedding itself. Think Like a Man Too is currently available to watch and stream, download, buy on demand at FX+, FOX, Amazon, Vudu, Google Play, FandangoNow, iTunes, YouTube VOD online.